Welcome to the homepage of Donovan Raitt Guitar Lessons! Donovan Raitt has been teaching guitar to students of all ages and styles in Irvine, California since 2001. Welcome! My name is Donovan Raitt, and I am currently offering guitar lessons in the Southern California/Orange County area, specializing in all ages, styles and levels of instruction. My students have gone on to successful careers in music, and have been accepted into some of the best guitar programs in the world, including the USC Studio/Jazz guitar program. I offer lessons in my home studio in Irvine, CA or online via Skype or FaceTime. 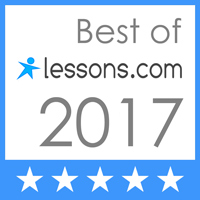 For online lessons, you will need a computer, webcam and microphone, and a reliable high-speed internet connection. Lessons can be scheduled either with Monthly Tuition or Individual Lessons. Lessons are $60 per hour or $30 per half-hour when booked monthly. Donovan Raitt has been teaching guitar professionally since the age of 18.